A high-visibility couple in a messy divorce isn’t a novelty in the US. But when that couple is the lawyer to the President of the United States of America, you can’t blame the media for going crazy. The case in point is the divorce between NYC’s former mayor Rudy Giuliani and Judith Giuliani (nee Nathan). The warring couple squabbled over a range of issues in court, and the most mentionable one is obviously related to money. Judith’s lawyer alleged that Rudy Giuliani has exorbitant spending ways that included splurging on mistresses, high-end pens, and cigars. But when it came to providing spousal support to his wife, he simply raised his hands and said he just doesn’t have the finances to meet these demands. The ways of the wealthy are hard to comprehend and the judge too was baffled by the couple’s monthly budget that exceeded $230,000, according to a piece that appeared in the Daily News. 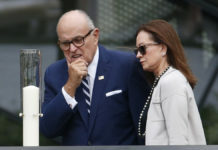 Manhattan Supreme Court Judge Michael Katz stated that it seemed like both, Rudy and Judith had very expensive tastes which were reflected in the amount they spent each month. The other point that was brought up in these proceedings related to the alleged extramarital affair that Rudy Giuliani’s had with Dr. Maria Rosa Ryan. 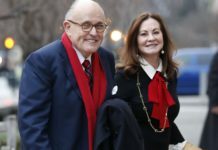 Judith Giuliani’s lawyer, Bernard Clair stated that his client wasn’t in the least concerned about her estranged husband’s past or present affairs. But she definitely took affront to the fact that while Rudy seemed to have more than enough money to throw away on these women and his own lavish lifestyle, he was refusing her spousal support. Judith said that when Rudy could easily hand out more than $286,000 to Ryan and her family, there is no way he can squirm his way out of coughing up her “skrilla.” She stated that she hadn’t received a single dime from Giuliani since August of this year, as spousal support. Clair said that his client has suffered financially as Giuliani simply refuses to give her the money she ought to get. Rudy Giuliani’s lawyer Faith Miller countered this argument in court and stated that this is entirely untrue and that her client continues to support Judith Giuliani to the tune of $150,000 a month. She also suggested that the 63-year old Judith should consider getting a job. Rudy Giuliani continues to own numerous businesses and even though he works pro bono for the Donald Trump he will continue to get a salary of $5-6 million. Faith also stated that at age 74, if her client chooses to work for the President without compensation, he should be entitled to his choice. But this also means he doesn’t have the finances to acquiesce to his estranged wife’s demands for additional spousal support. The Supreme Court judge urged both the parties to focus on working out their differences in a more amicable manner in order to avoid court proceedings. 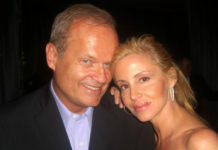 Rudy and Judith have been married for 15 years and the latter filed for divorce in April this year. 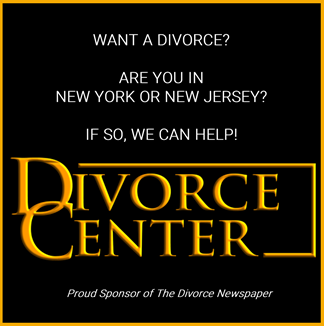 Previous articleRudy Giuliani Divorce- Really Broke or Just Faking It?